Organic El Bombo comes from the members of the Asobombo producer association — 95 producers from the villages of Laguna del Bombo, La Laguna, El Paraíso, Alto Planes, Laguna Verde and Laguna Chiquita, in Huila. 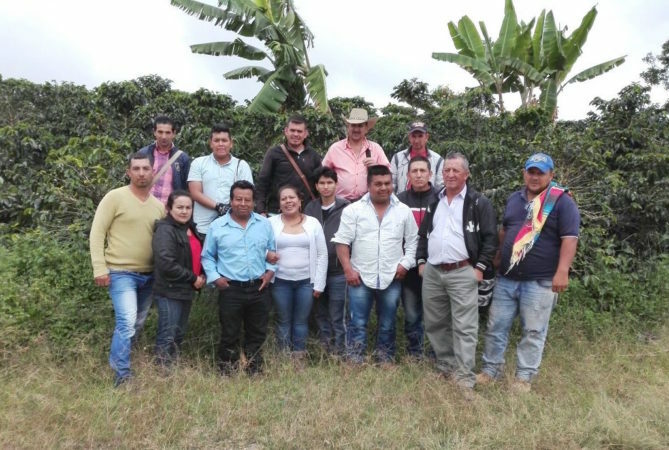 They work as a small, close team to market their coffees, and everyone is dedicated to promoting a “traditional coffee culture.” Around Huila, the micro-regions of Aipecito, Esmeralda and the mountainous Chapinero are rich in water and native shade trees. 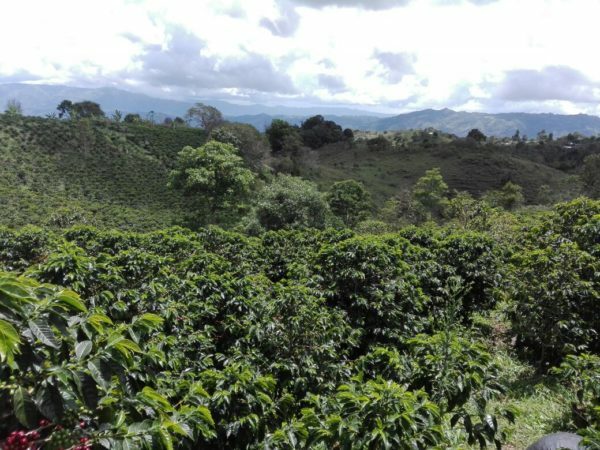 Producers here are proud that the area has a geographic diversity unlike anywhere else in Colombia, with weather that’s both dry and hot and cool and humid. Aipecito is an association that has gone through many obstacles related to the influence of armed groups in Colombia. 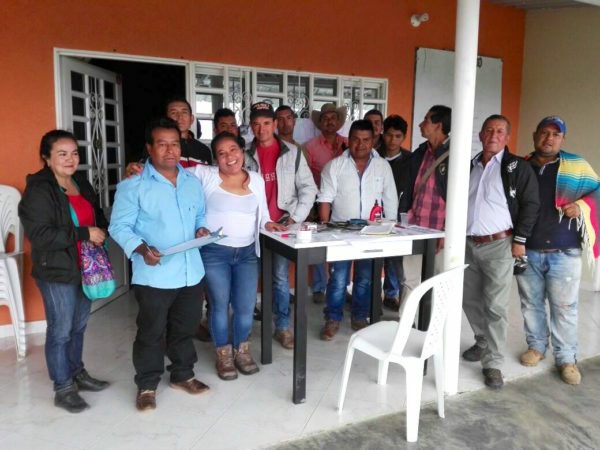 Political violence in the area has diminished their growth and commercialization since 2014, but they continue to improve and want a fair price for their coffee. Toward that goal, they’re currently building new drying tools, to help improve coffee preservation and cup quality. El Bombo was washed, dried in the sun and finished in a mechanical dryer. It’s certified Organic and Fair Trade. The most recent crop reached our warehouse in mid May 2018. Cupping notes: Interesting and unique. Juicy, sweet, fruity. Rustic but clean. Berry, pine, vanilla.